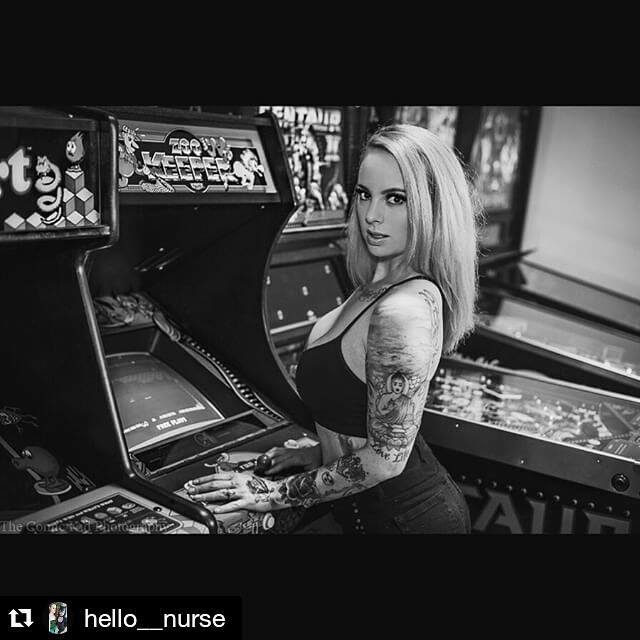 Video Arcade Game and Pinball Machine Tournaments in Albuquerque NM — Geekon | Albuquerque | Arcade Repair | Pinball Repair | Video Game | Buy | Sell | Trade We offer video arcade game and pinball machine repair services in Albuquerque, NM. Like our Facebook Page to keep updated on when our next Pinball tournament will be!! In celebration of Halloween and the release of Strange Things we've teamed up with Tricklock to bring you an adult carnival experience like no other. We'll be having 10 arcade games, 11 pinball machines, booths of the R-rated variety in the parking lot, music, and Tricklock will be hosting a very special Reptilian Lounge right here at Wells Park. Get ready for some neon-Strange-80's-Halloween fun. Pinball Tournament and opening day Arcade Art Show! Art show will run through till August 29th for Taco Tuesday! Beastly Bash: Grown-Up Games and Good Times is putting an adult spin on hanging out at the Zoo this September 9. Beastly Bashers at this adults-only event can expect to party like kids on an obstacle course, ride a mechanical bull, play Tug of War with one of Albuquerque’s “largest” celebrities, plus other fun activities! Complimentary tequila tastings, giant “beer” pong, music and tasty food round off the night! It’s sure to be a roaring good time! 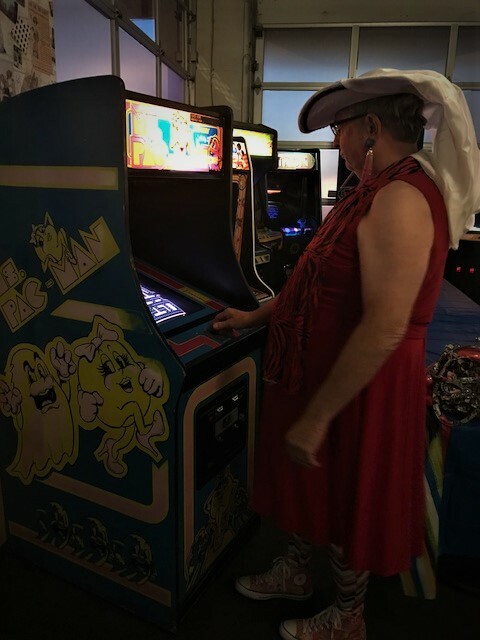 We got to meet the original actors in the 1990 Arcade Game "Mad Dog McCree"and the former President of American Laser Games for a documentary by CNN. Then, in September, the Albuquerque Bio Park invited us to bring some video arcade games for their Beastly Bash. We brought all of our 80s classics like Pacman, BurgerTime, Q-bert, etc. It was a fun night for adults to go out and act like kids for the night. We also participated at a local anime convention in November called Con-Jikan. For the event we brought our Neo Geo, Tekken 5, and Gauntlet Dark Legacy to keep with the Japanese theme. The games were a blast and guests played them non-stop all weekend. We even had voice actress Carrie Keranen, voice of Ling Xiaoyu in Tekken: Blood Vengeance, sign our Tekken 5. In 2016 we hope to put on and participate in more events.